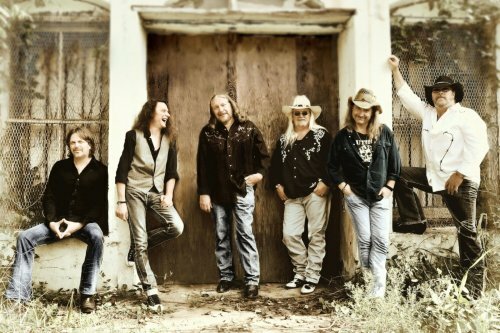 Yesterday in Spartanburg, South Carolina, the legendary southern rock group The Marshall Tucker Band dispatched its tour truck to collect donations that will be transported to hurricane victims. The Marshall Tucker Band tour truck was stationed outside of the Spartanburg Memorial Auditorium from 4:30 to 7:30 PM. Additional trucks are also in the works for donation collections in Anderson and Chesnee, South Carolina. Lead singer Doug Gray, along with other members of The Marshall Tucker Band, were on hand to thank those wishing to help. The band asks that people not bring cash donations. UltimateClassicRock.com recently crowned the MTB’s “Can’t You See” the #1 Greatest Southern Rock song ever recorded. Prayer and angels I send to a of the dear souls.